ROAD TOWN, Tortola, VI - Outspoken Bishop of the New Life Baptist Church in Duffs Bottom on the main island of Tortola in a national address yesterday April 11, 2018, said he is "one you can trust as a spiritual leader". There have been rumours circulating in the past three weeks and even calls to our newsroom that the man of the cloth had been very quiet recently, and as gossip had it, Mr Cline had allegedly "took hush money to keep off the Premier". However, in his national broadcast, the Chairman of the BVI Christian Council categorically denied taking any hush money. He said he "speaks only when necessary, fears no one and cannot be bought by anyone". He said the leadership in the Virgin Islands (VI) matters and "the people of the Territory has lost trust in this National Democratic Party (NDP) Administration". Bishop Cline said good leadership has a plan for the next 10 or 20 years. The Bishop expressed, "We have allowed corruption to set in and raw sewerage still runs in the capital and it smells." 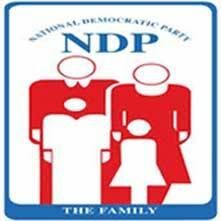 He lambasted the ruling NDP and described them as a set of "cannibalistic dictators". The bishop stated that the future of the territory is “blurry” under its current leadership where leadership matters. “The current leadership has become cannibalistic in its behaviour, destroying all those who have different opinions to theirs. They undermine and marginalise their supporters and turn a deaf ear to wise counsel. We need better from our leaders,” Cline said to the background music of the Territorial song. Since the 2011 general elections that saw the NDP came to power, they have been accused by local, regional and international organisations of cracking down on press freedom. However, the Bishop warned that “our present government needs to change their ways". 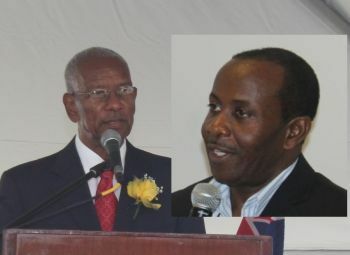 He further stated, “Every citizen and resident of the VI, whether in the private or public sector, has a right to respectfully voice their opinion in a free and democratic society without fear." Business men in Power are the reason why we can't get legislation to protect workers in times of disaster. Business People are the one oppressing the worker.. Its Tough..Rough for the reg worker.. BINGO!... and would add that a bit of “greed” and “selfishness” have made things very distasteful! I will continue to intercede for our leaders to always do right by and for the people of the Virgin Islands & also to the Almighty Father! KUDOS to those leaders who are meek in spirit, pure in heart and are serving with integrity! you even got me thinking of paying you 'hush money' just to make you shut up, and go away. Sick of hearing from this family! Sill We Rise! No weapon formed against us shall prosper and every tongue that rises Up against us in judgment will be condemned. True John. Speak it in season and out of season. Them can't buy you. You is boy. You ain't fraid them. Those of us who had to pick coconuts and shift goats to make it are the VIslanders one should listen to. We know how to make a way where there seems to be no way.John we hearing you. How can he leave well alone. All is Not well. That rumor was serious and he needed to address it! Wize up look how you blow your own cover. Who mentioned anything about Mr. J Clarke. Shame on you for only going back to your country of birth only two times in almost 50 years. Yes you may now have BVI and UK passport because you are naturalized but your country of birth is still St. Kitts and not BVI. Oh shut the f@$^ up with the pity party! The issues in this Territory are US! We the locals don't like each other and when the kitchen gets hot we play the race baiting card. If we were a united people nobody could come from anywhere and do sh1t! We only complain when we don't get our way, that's it, once we are well, our pockets are well, the territory is therefore well and that's the problem right there. I don't believe a word of it. Here is an opportunist, a man of God just using his voice in a deceitful way to sow the seed of discord and discontent within this territory. The Bible warns us about wolves in sheep clothing, so BVI please be aware and try to discern between fact and fiction. Bishop only mad because they kicked him out from the hospital, and he's owed by government for other services he provided. To Juliobtain dam Henry that may or may not be true, but would you like if someone flagged you down or call your cell number for a taxi and when they reach the destination jump out without paying you? "There have been rumours circulating in the past three weeks and even calls to our newsroom that the man of the cloth had been very quiet recently, and as gossip had it, Mr Cline had allegedly "took hush money to keep off the Premier"." Was "hush money" offered? That is the question. He is not my cup of tea, but John has some good points. No one with an opposing view could last in government. If you do not get frustrated and leave, they squeeze you out and give you some crappy reason for your dismissal. And even though everyone on the job knows you are innocent, none will come to your aid because they fear persecution too. We have been enslaved by our own kind. I just hope relief comes next election and people think long and hard before voting. We work like dogs to make them look good. I work in education and I just left the building about 2hours ago, it is now 9:09 pm. Look at how many of us government workers have died from cancer this year alone! And how many more are still sick? We give them our youth, our health, our smart minds. My God we even forsake our own. But they don't care!! It's only a few of them, but it's a lot of us. WE HAVE TO GET IT RIGHT NEXT TIME. The Bishop saw that the decisions being made by government were being influenced by others who have a long term agenda to move towards another Bate hill moment. It is happening all over again. The coming of HMQ help is not to help BVI recover for us, it is about infiltration and the 3 storms August 7, Sept 6 and Sept 16 were used to speed up the process. Be wise as serpents people. These people are a special group from the mother country using some of their own who are dispensable to do the dirty in order for the special people to survive.. The Bishop is speaking out because he is seeing the infiltration from spiritual eyes. He has been reading global history and other books that tell us how these special peoples come into your country and take over. If he does not say something, the Bishop knows that God will hold him responsible if he keeps his mouth shut. By speaking out against Dr. Smith and his administration is the easy way out, but is doing so against the people who are pressuring Dr. Smith. Dr Smith is dealing with demonic vultures. Read Ephesians chapter 6: 10-12, Genesis chapter 6, the protocols of zion, economic hitmen, the circle of intrigue, pawns in the game, to name a few. Why do you think that Hon. Skelton is speaking out. He wants to save his soul too. He too is looking at what is going on around him from spiritual eyes and wants us to wake up, but he cannot say outright what it is, otherwise he would be considered a looney. Be wise as serpents, another eye opener. The headline read: ‘Hush Money? I didn’t take it.’ But was it offered? Everyone has a price. Is it not interesting when people are feeding at the trough how quiet they are about ails government. But as soon as the spigot is shut off, they get loud, shouting from Sage Mountain how bad government is. Did government get bad after the faucet was shut off or the signs and evidence was always? Where is the credibility? Money, social status, positions, influence.......etc gone so goes the loyalty and silence. An hy...... word comes to mind. 1. What have you helped to build? 2. How much money do you send "home" and how many houses have you built back home? 3. Whose country is being built up? 4. What do you want now, that you cannot have, make you use the words "bad mindedness"?